The red carpet - Collab - GLAM! 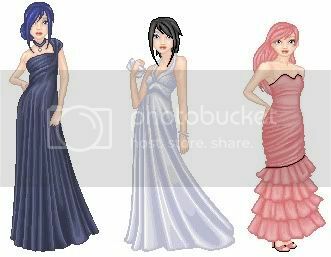 .. ~ The Red Carpet ~ ..
-> Doll one of your characters or a celebrity in clothes that is appropriate for the red carpet. -> Each participant of the collab can do up 'till 3 dolls. -> For the number of participants, as many as interested. -> Please, meet the deadline. -> Use the base provided. Last edited by Damnliza on Sun Jan 16, 2011 8:27 am, edited 41 times in total. I've never really used Moe, but regardless of the base, may I claim Hayley Williams? :3 I have a thing for dolling her, haha. I might also do one of my OCs if I have time. Meeee! can I do my 2 characters Harley and Victoria? Twigg wrote: Meeee! can I do my 2 characters Harley and Victoria? Me! I want to do my OC Celine. I may do another one but I def want to do Celine. I wanna do one! Just of my character Melantha. edit>>> which awards show version of the red carpet? are we doing super glamorous like the academy awards or something more rock like the mmva's? batgirl wrote: I wanna do one! Just of my character Melantha. oh, I can't resist giving my OC's love, can I join with Mahira and Adri? I'd like to join. I'll be dolling my oc Wilhelmina! Becasue she's punk rawk and doesn't like long flowy dresses with lots of folds ^-^ It's an altered version of her original outfit(which isn't a dress). That was so much fun. Interesting to see the basics of her normal outfit in the form of a gown. aww! I love them! Added! I will be dolling three girls, Kiba, Gekijou and Hanako! sign me up for both just in case? I don't usually use moe, but I want to do this. Adrian and Corrine are my only OCs who are remotely fashionable enough.